Bike trails. Safe Routes to School. Turning rails to trails. Better sidewalks in Reston. Even reducing vegetation to make trails and sidewalks more bicycle- and pedestrian-friendly. 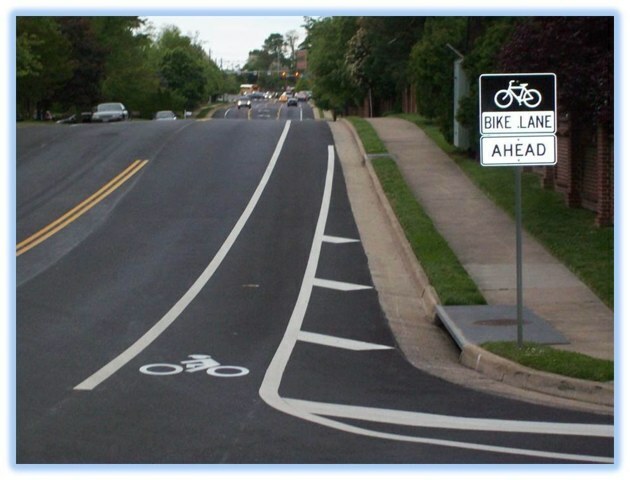 Fairfax County wants your comments and ideas on potential transportation alternative projects, which could get primarily funded by the Virginia Department of Transportation. After approval by the Fairfax County Board of Supervisors, the program’s projects will be eligible for submission to VDOT funding under the Moving Ahead for Progress in the 21st Century, also known as MAP-21. This program provides 80 percent of the funds for each eligible project. A 20 percent local match is required. Any project presented to the board for endorsement must have an identified source of funding for this match. The Federal Highway Administration (FHWA) has established criteria for activities or improvements eligible under the MAP-21 Transportation Alternatives provision. The alternatives are activities or improvements that increase the value of a transportation project or make it more aesthetically pleasing. Transportation Alternatives: Construction, planning, and design of on-road and off-road trail facilities for pedestrians, bicyclists, and other non-motorized forms of transportation, including sidewalks, bicycle infrastructure, pedestrian and bicycle signals, traffic calming techniques, lighting and other safety-related infrastructure, and transportation projects to achieve compliance with the Americans with Disabilities Act of 1990. Any environmental mitigation activity, including pollution prevention and pollution abatement activities and mitigation to-address stormwater management, control, and water pollution prevention or abatement related to highway construction or due to highway runoff; or reduce vehicle-caused wildlife mortality or to restore and maintain connectivity among terrestrial or aquatic habitats. The Safe Routes to School program under section 1404 of the SAFETEA-LU. Infrastructure-related projects-planning, design, and construction of infrastructure-related projects on any public road or any bicycle or pedestrian pathway or trail in the vicinity of schools that will substantially improve the ability of students to walk and bicycle to school, including sidewalk improvements, traffic calming and speed reduction improvements, pedestrian and bicycle crossing improvements, on-street bicycle facilities, off-street bicycle and pedestrian facilities, secure bicycle parking facilities, and traffic diversion improvements in the vicinity of schools. Non-infrastructure-related activities to encourage walking and bicycling to school, including public awareness campaigns and outreach to press and community leaders, traffic education and enforcement in the vicinity of schools, student sessions on bicycle and pedestrian safety, health, and environment, and funding for training, volunteers, and managers of safe routes to school programs. Safe Routes to School coordinator.